Sailing from the Brooklyn Cruise Terminal? If you’re looking for a way to get to the port, you could always take the traditional taxi, but these days Uber and Lyft are growing in popularity among cruise passengers. The rise in their popularity is easy to understand. Taxi cabs have a reputation for being expensive, dirty, and having rude drivers. We’re not saying whether or not that’s warranted, but there’s no doubt that the stereotype has helped push people toward ride-share services such as Uber/Lyft. These companies also offer affordable rates and are extremely convenient. With just a click on their app, you can request a ride on your smartphone and have a car within minutes. There is no having to call or hail down a cab. And as you’ll see below, the cost to get around town is often cheaper than a cab. Best of all, the service area spreads the entire New York/New Jersey metro area. So no matter which hotel you stay or airport you fly into, you’ll be able to catch a ride through Uber or Lyft’s apps. 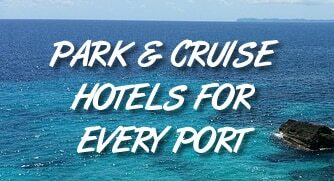 If you are staying in New York, then as we mentioned, Uber and Lyft can offer some affordable rates, especially compared to the daily parking rate for a cruise. A trip from Central Park to the Brooklyn Cruise Terminal would be around $35 for Lyft, but is estimated at nearly $50 for a taxi. For comparison, parking at the terminal costs $20 per day. To give you a better idea of what you might pay, we’ve rounded up estimates for Uber, Lyft, and taxis from various pickup spots around the area. If you are not already and Uber or Lyft user, you can sign up in minutes by downloading the app to your smartphone.